Additional information and wireless connectivity are further improving productivity, reliability and efficiency. Like other facilities that have been using the HART Communication Protocol for any amount of time, previous recipients of the HART Plant of the Year Award have been busy reaping even more of the benefits the technology provides. These benefits include the way HART technology supports the sending and receiving of additional digital information between intelligent HART-enabled devices and control, asset management or monitoring systems. The digital signal provides users even more data from devices, such as device status and diagnostics, as well as additional process values, either measured or calculated. The additional information helps users in several ways, for example, by letting them more effectively monitor the condition of devices to potentially avoid an unscheduled shutdown, and troubleshoot field instruments to quickly determine the cause of a problem. WirelessHART provides a cost-effective way to add new measurements without the cost of new wires. It also enables additional measurements by sending the digital primary (PV), second (SV), third (TV) and fourth variables (FV), as well as device configuration information and device status using their existing HART devices. Recent information from three previous HART Plant of the Year recipients highlight ways they optimize their operations by using the HART Protocol. The HART Plant of the Year in 2011, the Shell Scotford Upgrader near Fort Saskatchewan, Alberta, Canada, continues to reap the benefits of receiving additional process information via HART technology. At that time, Shell had just expanded its existing facility by 100,000 barrels per day. According to Andy Bahniuk, Shell instrumentation technologist, using HART technology helped the company streamline the testing and preconfiguring of devices for a smoother start-up. As part of the project, Shell needed to program and commission more than 1,500 HART devices from 26 suppliers. A flexible asset management system and HART communication worked together, ensuring that all HART information was gathered, either by a network of multiplexers or the distributed control system (DCS) with HART I/O, and made available in a central control room. The company continues to expand on this approach. "Manufacturers are always adding more parameters and information to their devices," says Bahniuk. "HART technology lets us monitor newer devices and further expand our troubleshooting capabilities, among other pluses," he says. For example, "During Canadian winters, temperatures can drop to -45 °C. To protect our field instruments from freezing, we mount transmitters in insulated, heated enclosures," says Bahniuk. "We monitor the heaters’ effectiveness using the instrument body temperature in the enclosure. HART enables us to monitor transmitter temperatures in real time, communicating the parameter through the asset management system to alert maintenance should the enclosure start to freeze. This eliminates the need for technicians to check devices in the field where ice and snow can pose a potential safety issue. It also helps us improve our efficiency in undergoing preventive maintenance on heater boxes, which cuts our costs by more than $200,000 per year, while ensuring smooth operation all winter long." Additional information also came in handy when thermostats had incorrectly been set too high, an issue technicians detected by using HART Protocol in a predictive manner. Technicians replaced the thermostats before they became a problem. The facility is also using device status alerts to learn about other problems such as devices left in loop-test mode by mistake. The error was revealed when the device’s loop current read as being left in the fixed mode. Shell currently uses the HART status byte to represent the health status of various diverse measurement devices on graphical charts, providing maintenance technicians a quick visual of device condition. "Monitoring real-time device diagnostics with "more status available" helps us troubleshoot devices and slashes troubleshooting time," says Bahniuk. The value of additional information is also underscored in Shell’s current carbon capture and storage (CCS) project for an oil sands operation in Canada. "The Quest project has us adding new devices from manufacturers unfamiliar to us," says Bahniuk. "To get up and running just takes downloading device description files from the HART website to our handheld devices and our asset management system. We can configure and set up the devices with ease, as well as view all the parameters properly on our existing DCS." Clariant Produkte (Deutschland) GmbH in Gersthofen, Germany, HART Plant of the Year in 2004, produces additives used in plastics production, and as such, needed to reconfigure its field devices frequently for new production batches. It leveraged HART technology that was already in the plant to deliver process measurement values and device configuration information to a Profibus remote I/O system, which converts the data to cyclic Profibus DP data for real-time, remote access to device data, again for preventive maintenance and troubleshooting tasks. "The additional information HART provides helps us shorten plant shutdown times," says Ludwig Wenninger, electrical plant engineer at Clariant. "We have not calculated the savings we get from using this approach, but the upside is that HART facilitates the work for you." Also finding value in obtaining additional information is MOL Group’s Danube Refinery in Százhalombatta, Hungary, HART Plant of the Year in 2010. In 2006, the plant overhauled its maintenance system using a reliability-driven asset management strategy and HART technology. 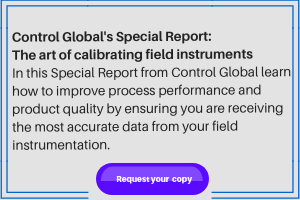 It purchased HART-enabled intelligent field instruments including control valves and instruments for critical control loops, and connected them directly to the asset management system. This provides an online diagnostic technology where instrument signals are directly connected to plant maintenance and control systems. At the time, the MOL refining plants (consisting of three refineries: Danube, Tisza, Zala) used HART communication on 30,000 of its 40,000 instruments, and about 3,700 of the devices were connected to the new maintenance system. Since then, the company’s use of information from online diagnostics has gone beyond just preventive maintenance to increasing the precision of the control system. For example, intelligent HART valve positioners provide information that lets technicians easily identify inaccuracies in loops controlling the separation process. The inaccuracies are typically traceable to detuning of the control valves. "In the past 10 years, HART technology has become part of our daily job, from the everyday use of HART communicators up to integrated online systems," says Gábor Bereznai, MOL head of instrumentation and electrical engineering. "Consider that in updating a distributed control system, it’s important to only use HART I/O. In one year, we installed more than 430 HART I/O in our CCR unit on the Yokogawa CS3000 segment. We also installed about 100 new I/O on the Honeywell C300 controller in our REC1-3 water cooling units. Here, we use online systems including the Yokogawa Process Resource Manager (PRM) and Field Device Manager (FDM) to get device diagnostic information. The PRM connects to our computerized maintenance management system (CMMS), in this case, SAP-PM, and alerts trigger notifications in advance before problems ever happen." The proper operation of the heavy-duty valves in this pressure swing absorption skid is essential to MOL hydrogen production. In one case, the additional, predictive information provided by intelligent instruments helped the refinery avoid shutdowns, resulting in a savings of $7,000 to $700,000 per year. "For example, if a control valve gets stuck while closing," says Bereznai. "We can’t see this just from outside observation of the valve. Instead, the diagnostic system detects stress in the valve and sends a warning to the CMMS, where it is escalated such that responsible individuals must make a decision whether to follow through on the warning or postpone any action. Fortunately, 95% of the HART automatic notifications have proven to be creditable and can be readily accepted." Wireless technology can be advantageous because it delivers new measurement values to control systems without the need to run more wire. WirelessHART supports many messaging modes, including publishing of process and control values, spontaneous notification by exception, ad-hoc request/response, and auto-segmented block transfers of large data sets. Each device on a WirelessHART mesh network can serve as a router for other devices, extending the range of the network and boosting system reliability by providing redundant communication paths. Wenninger says Clariant is currently leveraging the technology in building a network comprising a special transmitter and a HART wireless gateway to monitor plant steam traps. Steam traps are a type of automatic valve that filters out condensed steam and gases such as air from a system, ideally, without letting steam escape. "We are testing Rosemount 708 wireless acoustic transmitters, which respond to temperature and vibration, and communicate device event status via the WirelessHART network to energy management software, where the data gets stored," he says. "The information should help us cut our fuel costs arising from steam traps that are leaking." MOL supports the use of WirelessHART. "We already have five gateways and about 20 wireless transmitters (the number is changing fast) including adapter modules," says Bereznai. WirelessHART adapters can retrofit on any existing two- or four-wire HART device, allowing wireless transmission of measurement and diagnostic information not previously available. "We plan on using the adapter modules mainly for corrosion control and diagnostic purposes and, as such, intend to create a new internal standard for system design and maintenance of wireless technologies," he says. According to Bereznai, MOL intends to base its new wireless standard on the Monitoring Category, Class 3 (open-loop control), 4 (alerting), and 5 (logging and downloading/uploading) applications. (These are wireless usage classes based on ISA 100.11a, Rel.1.) Applications the company intends to include are corrosion control, instrument asset diagnostics, furnace wall temperature measurement and heat exchanger performance monitoring. In one of the operating units, an implementation of WirelessHART uses a gateway that communicates via Ethernet TCP/IP and a physically independent industrial network to communicate to an industrial switch and on to workstations running ValveLink SNAP-On software. The DCS links to a WirelessHART pressure transmitter and several Fisher DVC6000 positioner and Smart Wireless THUM adapters (4-20 mA analog output). The control room serves to regulate outside heaters along with vacuum and atmospheric columns, which are about 50 to 70m apart. Bereznai says ongoing projects include using WirelessHART in control value diagnostics in the delayed coker unit (three to five adapters), corrosion (pH and corrosion transmitters), and field instrument maintenance system (control valve positioners). Regardless of the age or size of the facility, these plants are using the intelligent information from their HART devices to lower costs and improve plant reliability.